Manuscripts, formatted following the journal guidelines, should be sent to phrg.journal@unipd.it by Monday 10th June 2019. 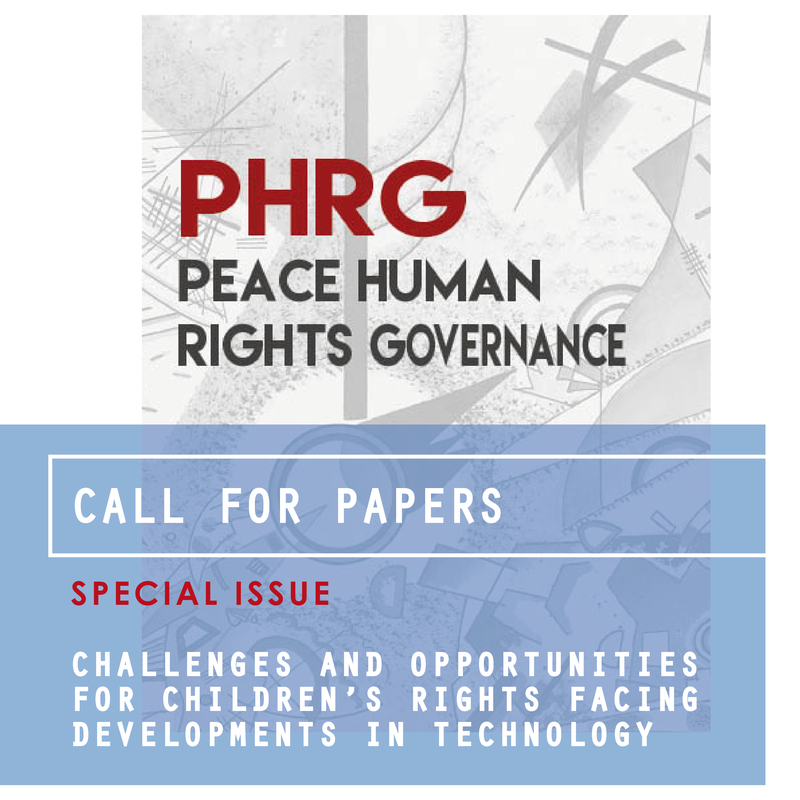 PHRG is a scientific, entirely open access and peer reviewed, journal published three times a year – in March, July and November – in English by Padova University Press. It aims to present original contributions, both theoretical, methodological and empirical, to current human rights issues while actively favouring the development of a solid multi- and inter-disciplinary, and multi-level approach to human rights research and dissemination. The Journal is supported by the University of Padova UNESCO Chair “Human Rights, Democracy and Peace”. All published articles, the members of the international editorial board and all relevant information about the journal and this call are available at: http://phrg.padovauniversitypress.it/.